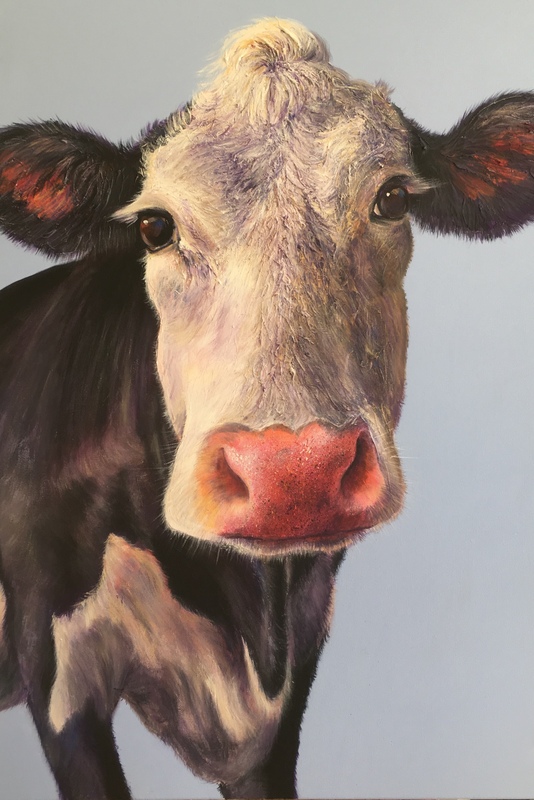 Welcome to cows on canvas, the website of Somerset cow painter, Jackie Spurrier. 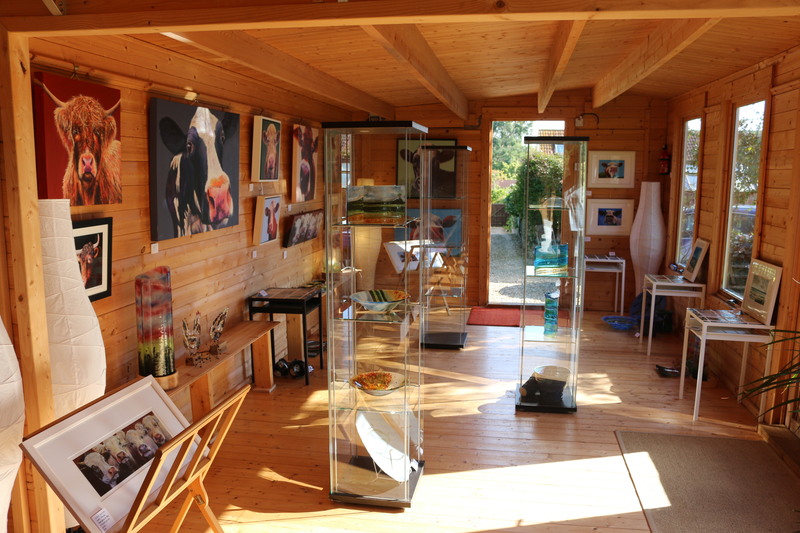 Based in Somerset, I work from my studio in the back garden of my home in the beautiful village of Hinton St George. 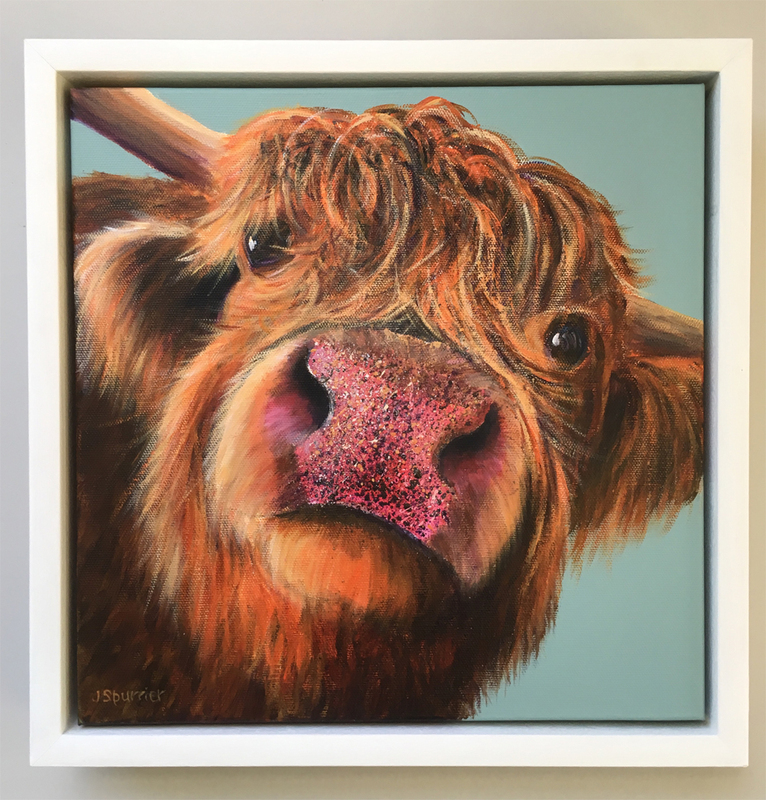 I have been painting cow portraits for 14 years. I can often be found tramping around in wellies on a cow search, trying to find some good and willing models. When I am not out and about, I love to paint as much as possible whilst my dogs snuggle up on their beds next to me. I enjoy having visitors to the studio. The honey-coloured village is also well worth a visit with its amazing, award winning pub, fantastic tea room and friendly community run shop. Please come and visit – we would love to see you. If you can’t come in person, then give me a ring or get in touch on Facebook or Twitter.